6 Whey Delicious Protein Treats! Tired of living the shake life? Power up your daily nutrition plan with these delicious, macro-friendly protein treats! Move over, shaker bottle! Adding healthy, low-calorie ingredients like powdered peanut butter and kale transforms your favorite protein powders into delicious and diet-friendly breakfasts, snacks, and desserts! Easy to make and perfect for any healthy-eating plan, these recipes give your body the muscle-building protein it needs to fuel your body for success. Whether you eat these guilt-free treats for breakfast, refuel with them between the gym and work, or use them as a pre-bedtime meal, these high-protein recipes are sure to become good-for-you favorites. What's better than the creamy combination of peanut butter and chocolate? Waking up to a bowl full of these classic ingredients first thing in the morning! 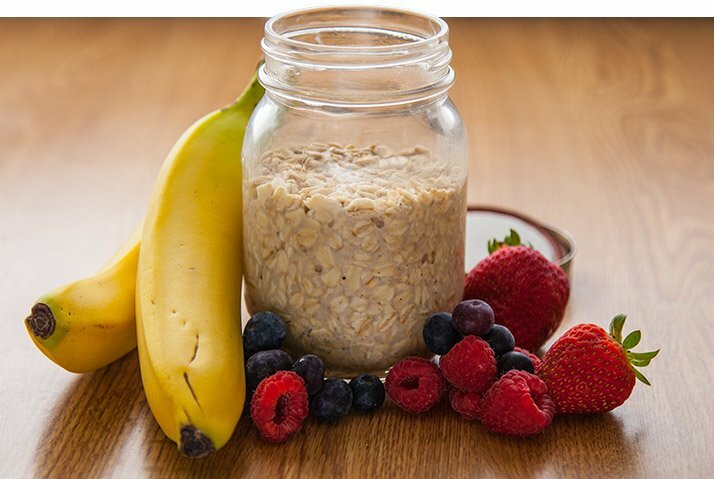 This recipe for overnight oats takes the mess out of morning meal prep and makes getting in your first serving of protein as tasty as it is easy. Already devoured your morning fuel? This wholesome combination of protein and carbs makes a quick post-workout snack or on-the-go meal. Chocolate for breakfast? Why not! 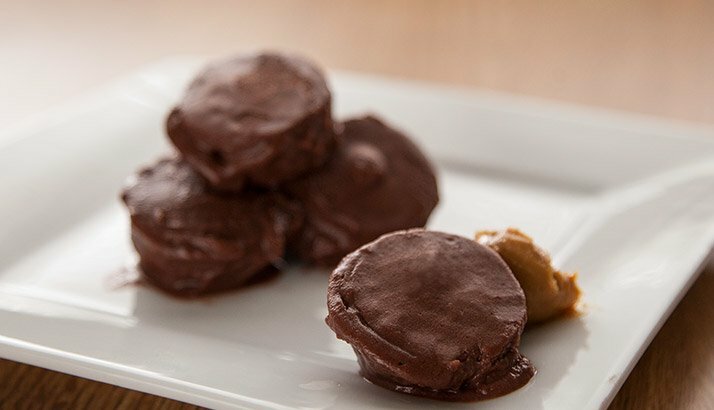 Make your own healthy chocolate peanut butter cup treat without the extra sugar and fat. Adding protein powder helps balance out the macros so you can enjoy it as a great start to your morning or the perfect sweet-tooth fix in the afternoon. 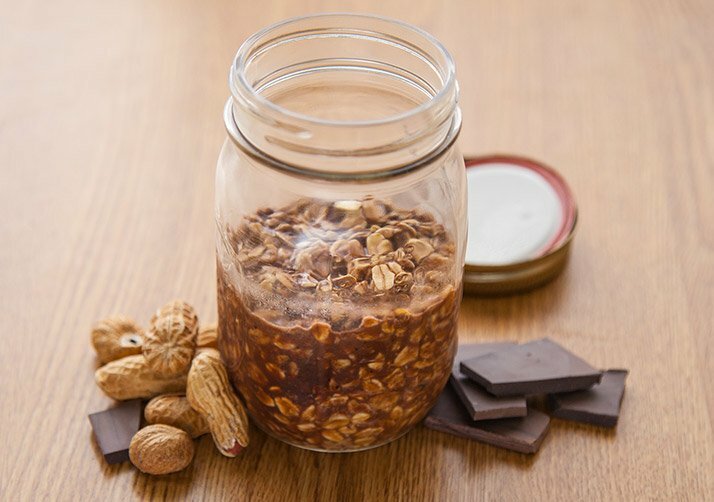 Just mix up a batch the night before and wake up to a jar of peanut buttery, protein-packed flavor! Looking for an easy way to get in complex carbs and protein? 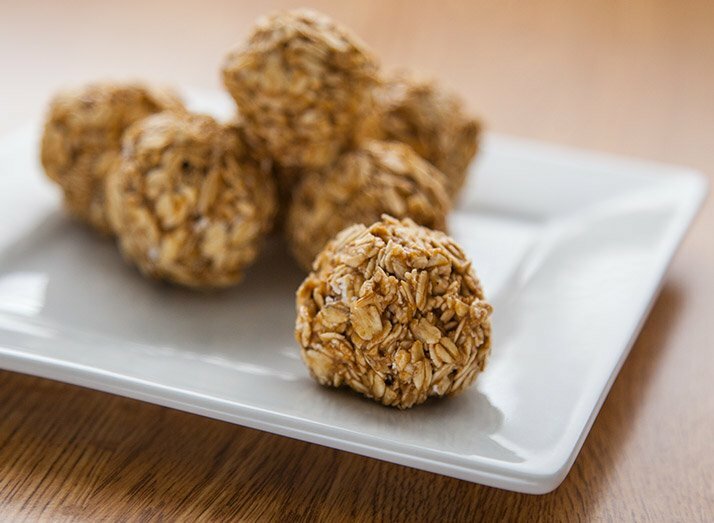 Try these oat balls. With healthy ingredients like rolled oats, protein powder, and powdered peanut butter, these high-energy protein balls are the perfect pre-workout fuel. Enjoy them as a healthy alternative to cookies and pair them with a big glass of milk. Love peanut butter cups but want to stay within your calorie budget? These tasty little bites are just what you need! 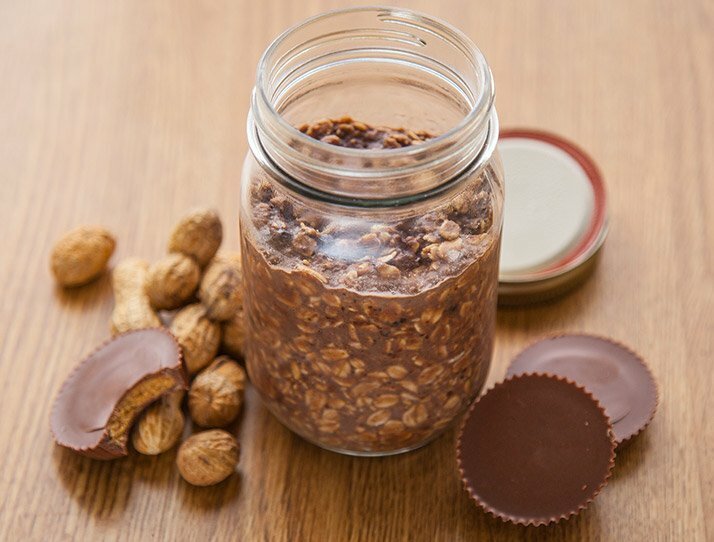 By using protein powder instead of melted chocolate and using sugar-free powdered peanut butter, you'll transform your favorite peanut butter and chocolate treat into a high-protein, macro-friendly dessert! The recipe calls for a mini muffin tin, but you can substitute an ice cube tray lined with wax or parchment paper. For a different twist, substitute any of your favorite nut butters—such as almond or cashew butter—and try a vanilla protein powder coating instead. Need a new twist on a protein shake to fuel your day? Look no further than this sweet and tart green juice concoction. This dairy-free smoothie is packed with unexpected flavor from ingredients like kale and lemon-lime BCAAs. 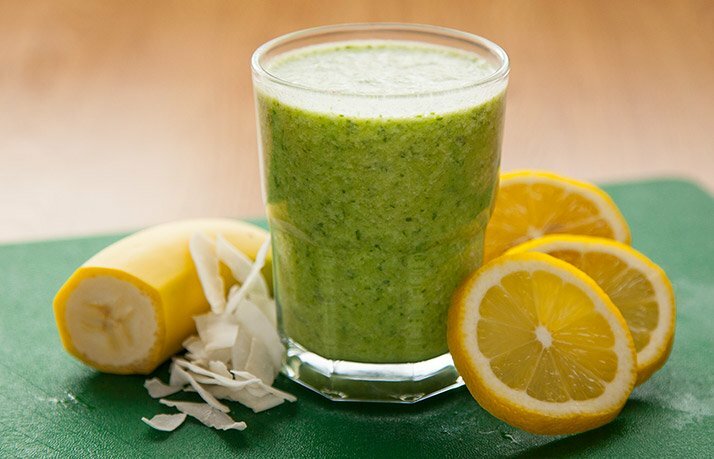 The combination of leafy greens, vanilla protein powder, sweet coconut, and tart lemon-lime wakes up your palate and gets your day off to a nutrient-packed and delicious start!